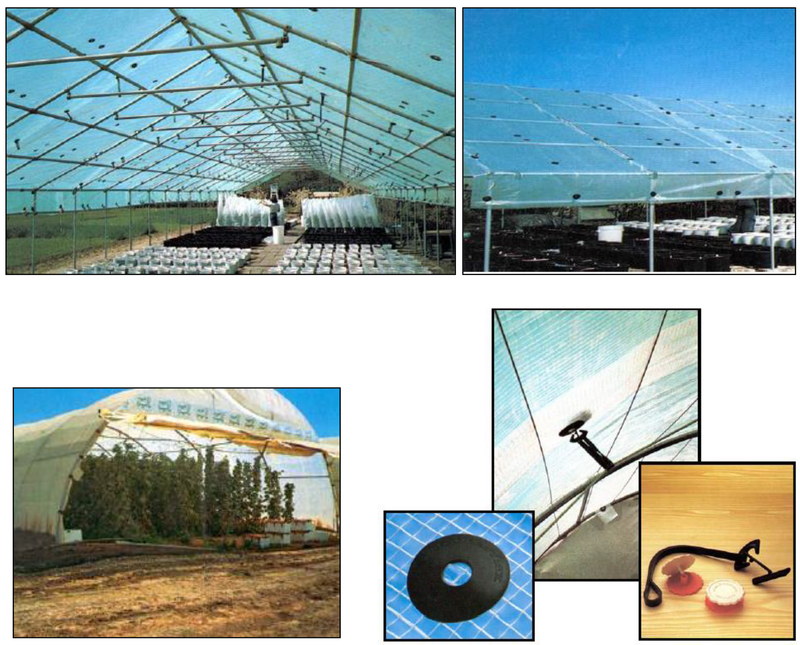 The entire Monarflex Greenhouse product range has been developed with the most recent technologies in UV-protection. A special UV stabilizer has been added to all the products in order to protect the sheeting from UV radiation and chemical influences. The stabilizer provides a chemical and acid resistant sheeting. Monarflex Ultra 250 mono consists of two layers environment friendly Low Density Polyethylene (LDPE) with a strong reinforced monofilament grid. The Monarflex Ultra 250 mono is available with and without Monarflex’ unique and flexible rubber eyelet fixing system which saves time when mounting and at the same time preserves the strength of the sheet. Monarflex Ultra G is a special heavy-duty greenhouse sheeting with extremely high UV-protection in two thick virgin Polyethylene layers (LDPE) with a strong reinforced monofilament grid. The Monarflex Ultra G is only available without Monarflex’ rubber eyelets. The Monarflex Ultra G sheet itself has tremendous strength and can be applied with wooden boards, steel tubes or similar.